Michael Luisi graduated with a Bachelor of Science degree from Mary Washington College in Fredericksburg Virginia in 1997. His career in fisheries began at the Virginia Department of Game and Inland Fisheries while working as a technician on the Statewide Stream Survey Project. After a little more than a year, he entered the graduate program at Tennessee Technological University and earned a Master of Science degree in 2000 while studying the growth and survival characteristics brown and rainbow trout. Mike went to work with the Maryland Department of Natural Resources (MDNR) in the summer of 2000 and is currently still with the Department. He has experienced a wide variety of positions within MDNR, including the management of the State's Commercial Striped Bass Fishery and Manager of the Coastal Fisheries Program. Currently, Mike serves as the director of monitoring and assessment with the MDNR’s fishing and boating services. He was appointed to the Mid-Atlantic Fisheries Management Council as Maryland’s State Official Designee in June 2010 and was elected as Council Chairman in 2016. 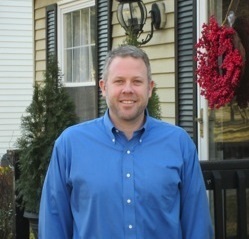 Mike resides in Annapolis, Maryland with his wife Sarah and children Elizabeth and Andrew. Posted in Designated Official, Council Leadership and tagged with Maryland.